Just when you thought it was safe to go into a public park or a hall of fame, another bizarre approximation of a famous person’s face has been cast in bronze. Curse you, copper! Why must your alloys torment us by making our famous people look like unrecognizable monsters? 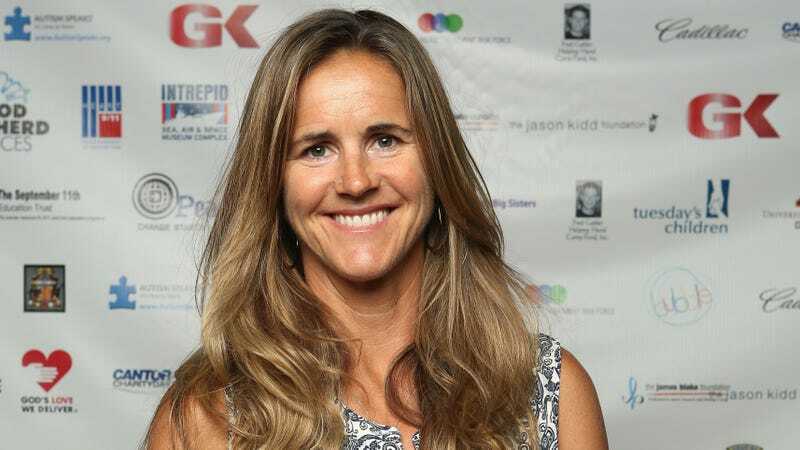 Following what happened to Lucille Ball, Kurt Cobain, Anton Yelchin, Cristiano Ronaldo, and so many others, soccer star Brandi Chastain has now been cursed with a commemorative plaque at the Bay Area Sports Hall Of Fame that looks less like her and more like a cross between Gary Busey and the 1985 version of Biff Tannen. Speaking with the San Jose Mercury News (via USA Today), the real Chastain noted that the plaque is “not the most flattering” representation of her, but she does acknowledge that “it’s nice.” It’s unclear if there’s any hope for a redo, which a lot of the other bronze terrors have gotten, but at least Chastain seems reasonably fine with it. The more pressing issue is that these things keep getting made even though everyone knows they’re terrible, which means there’s no way to stop another unlucky soul from eventually getting trapped under bronze and tormented for eternity. Watch out, athletes and movie stars: You could be next!